This month Sadler’s Wells is presenting Wild Card – an initiative which opens up their Lilian Baylis Studio to the next generation of choreographers and dance makers. This year’s Wild Card is UK’s exciting dance artist Seeta Patel. The Wonderful World of Dance’s Kellan Steck-Refoy spoke with Seeta about her upcoming performance in London. An evening speaking with the independent artist Seeta Patel can make for some fascinating conversation, but first, abandon any preconceived, exotic ideas about dance from South India! Seeta is not only an accomplished dancer and choreographer she’s also a film maker. Her portfolio contains enticing cinematic gems which often incorporate dance and movement with unconventional and thought provoking themes. Seeta’s UK premiere of Something Then, Something Now will most certainly be an evening of incredible skill and artistry, but most importantly, trailblazing on every level. Wild Card, a Sadler’s Wells initiative opens up the theatre’s Lilian Baylis Studio to the next generation of choreographers and dance makers. The initiative aims to bring fresh perspectives to the stage and each time gives emerging artists from different spectrums of the dance landscape the opportunity to curate a mixed bill evening of cutting edge work. While championing Bharatanatyam under the guidance of Mavin Khoo, Seeta has at the same time been forging a distinctive career in contemporary dance. She has performed both nationally and internationally with companies such as DV8 Physical Theatre, and presented her own work at the Southbank Centre. Seeta’s curation at the Lilian Baylis Studio will be an intimate evening of dance and music from South India, featuring an orchestra of Carnatic musicians. 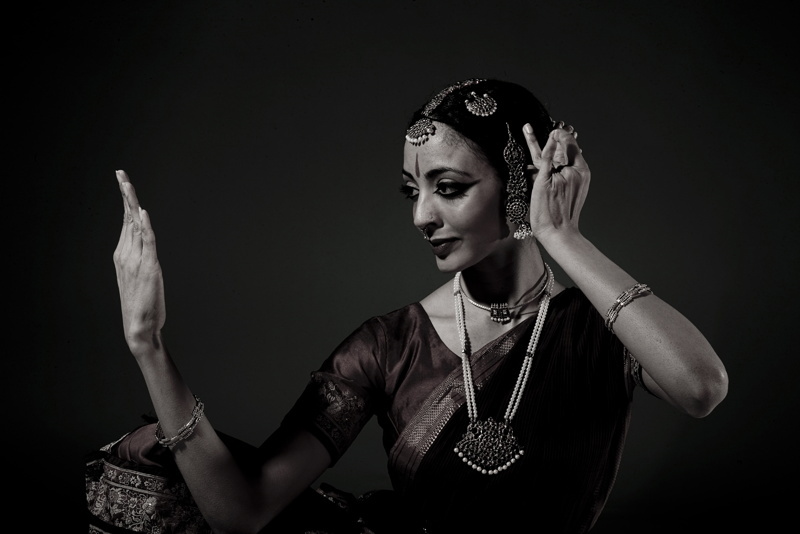 After her solo work she will offer a rare opportunity to see seasoned dancer and musician Pushkala Gopal in an up-close presentation of song and abhinaya, the narrative aspect of Bharatanatyam which portrays feeling and expression. To book tickets, visit Sadler’s Wells.